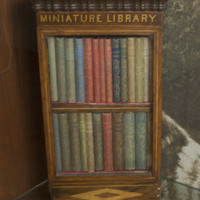 Image of a miniature library, ca. 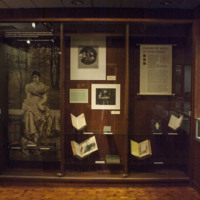 1840s, as displayed in the exhibition Taking Her Place. 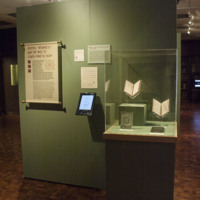 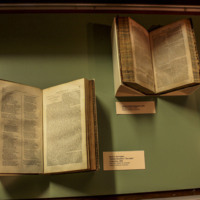 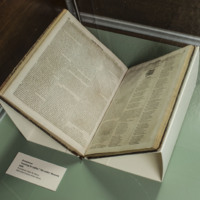 Image of the 1852 volume of The Keepsake, as displayed in the exhibition Taking Her Place. 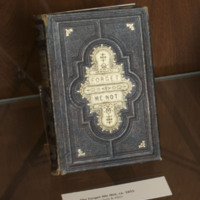 Image of a volume of The Forget Me Not, ca. 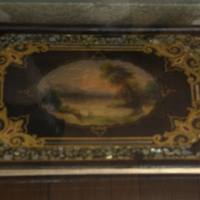 1855, as displayed in the exhibition Taking Her Place. 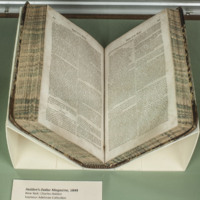 Image of the 1826 volume of The Ladies' Museum, as displayed in the exhibition Taking Her Place. 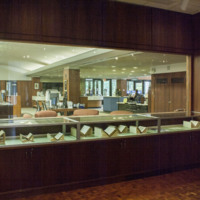 Image of the 1849 volume of Holden's Dollar Magazine, as displayed in the exhibition Taking Her Place. 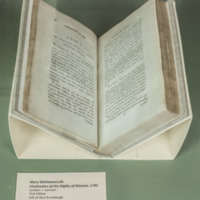 Image of the first edition copy of Mary Wollstonecraft's Vindication of the Rights of Woman, 1792, as displayed in the exhibition Taking Her Place.